Holiday Giving: Make your dollar go further by giving two gifts at once! Rivers give us so many things. This holiday season give something back to the Cheat by purchasing merchandise from Friends of the Cheat. We turn sale proceeds into grant dollars which results in projects on the ground. 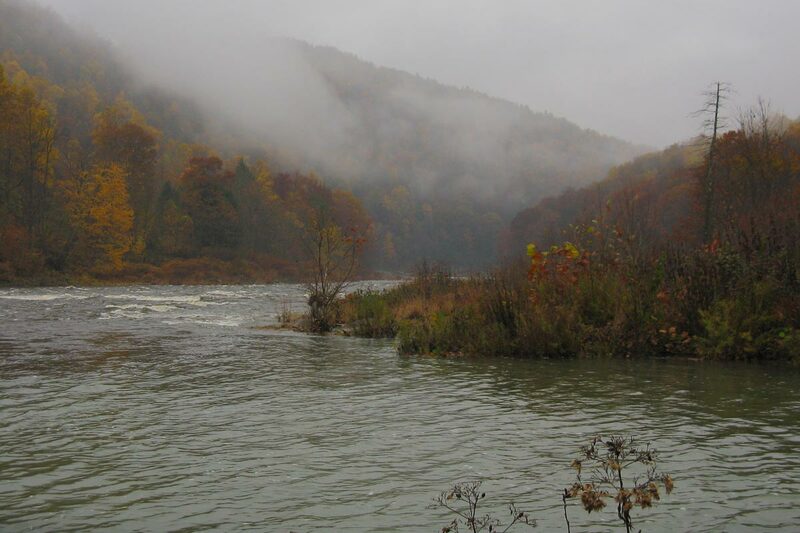 Whether it is measureable reductions in pollution entering the river or public river access sites, FOC works to “restore, preserve, and promote” the Cheat River watershed. Where else can you score a unique gift for someone special AND contribute to the ongoing restoration of the mighty Cheat River? (Not any big box store!). FOC has new t-shirt styles and colors, and this will be the last batch of our classic map shirt ever as we are planning a new design in celebration of FOC’s 20th anniversary in 2014. FOC koozies, hillbilly wineglasses, long sleeve tees, and hats are also available. All 2013 festival tees are $5 off. FOC was the grateful recipient of a donation of watercolor prints by the late Hoyt Reel. We have a limited supply of a variety of prints (average size 22″X18″) available for only $30 each. To purchase FOC swag, visit our office at 119 South Price Street in Kingwood any weekday between the hours of 9am and 4pm (we recommend calling first: 304-329-3621). For the river lover who has everything, make a donation in their name to Friends of the Cheat. In addition to a handwritten thank you card and FOC sticker—for gift memberships received by December 18th, FOC will mail an 8”X10” print of this photograph by award-winning local photographer, Kathy Jenkins to your special someone. Make your dollar go further this year by giving two gifts at once! Give a tribute. All donations to FOC are tax-deductible to the fullest extent of the law.